Like this is a fun site - I grew it from $100 in January, 2016 to $14,767 in December​, 2016. It's all around the Keyword Golden Ratio and my system of creating niche sites. "I got to hand it to Doug, because I can honestly say he was the first guy that I talked to about building niche sites where I followed his advice and it actually worked...I’m earning over $5,000 a month on the regular and I gotta say, its pretty darn cool." "Before I met Doug Cunnington, I was putting a lot of time into niche sites, but without seeing the results I wanted to see. I was making one site after another, and they all were going nowhere, but I didn’t understand why. I had my job to keep me going, which was and still is teaching drums/guitar/vocals to all ages, but I really wanted my niche sites to start going somewhere. I’d put a full year into it (2014-2015) and I figured it was about time I started getting real results. When I did finally get a chance to have some coaching calls with Doug, things started to change direction for me. Building niche sites and blogging is something that anyone can do, but if you don’t understand even one small part of the big picture, you can be spinning your wheels forever and I’ve heard of a lot of people just having enough of it and quitting. ​The really great thing about working with Doug is that I was able to ask him anything, and get an answer that made sense. Some “guru” types make everything sound so easy and kind of gloss over certain parts of the process, leading to a lot of problems and your site just goes off the rails. The beginning of 2015 was frustrating for me, because I wasn’t earning anything through affiliate income, but I was putting so many hours in that I was beginning to burn out. That’s when I worked with Doug for the first time. Now, at the middle of 2017, I’m earning over $5,000 a month on the regular and I gotta say, its pretty darn cool." ​​​​Let’s say you have the perfect list of all the tasks you need to complete to create a niche site. ​​​​There are a few pitfalls that can get you in the traffic area. Imagine what it would be like to wake up each ​morning and see the new sales you made overnight while you slept. Starting a FIVE Figure Niche Site (FFNS) sounds ... Overwhelming. When you're just starting out, it sound like a huge goal, impossible even. It's not impossible if you treat it like a project. We break it down into tiny chunks of work. That's where my project management background is essential.​ I've worked on multi million dollar projects and helped brezak the work down into manageable chunks. You should think about publish sufficient content. Yep, 6 weeks. If you work along with the course, then you'll be able to get traffic to your site if not sooner. "Before I enlisted for Doug's Five Figure Niche course, I had just received my 4th Amazon Associate rejection letter. 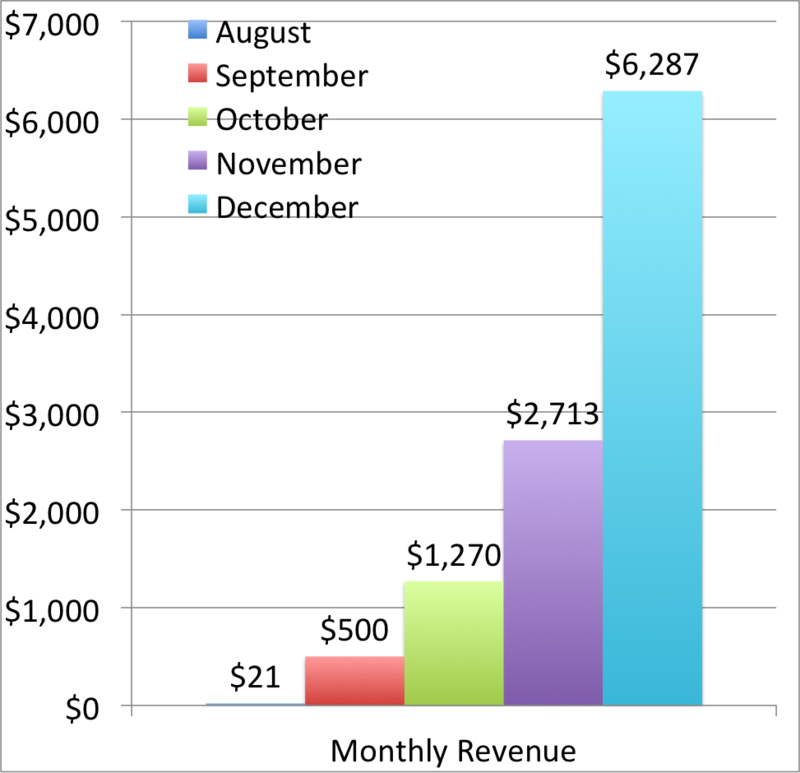 Now in 2017, I'm making $800 per month from Amazon"
I first started working with Doug and enrolled onto the FFNS during December 2016 and with Doug's helps and me putting the time in we have managed to effectively double the revenue and hope to be on track to triple it this year which is amazing. It's 32 hours of exclusive BONUS footage​ and growing. How to sell your niche site and maximize the selling price while you minimize the sales process. I just sold a site in June of 2016 for $235,000 as covered in Project Go White Hat. NEW: This new unit covers best practices that I've been honing for three years. I share everything I know about list building, and I have email lists in the thousands for my niche sites. This is an advanced training and you should have plenty of traffic and a profitable site before you consider adding an email list to the mix. NEW: This new unit covers best practices for looking beyond the Amazon Associates program. I LOVE Amazon Associates, but in March of 2017, Amazon changed the commission structure. So it's nice to have other sources of income aside from Amazon. This is an advanced training and you should have plenty of traffic before you consider adding other affiliates to the mix. NEW: This new unit covers best practices for selling an Amazon Affiliate Site. I sold a site in June of 2017 and I'll share the strategies in this Unit. This is an advanced training and you should have plenty of traffic and revenue before you consider adding other affiliates to the mix. 8 LIVE Q&A Inner Circle Sessions. LIFE TIME Access to future Q&A Sessions. This is brand new and allows you to attend the sessions well into the future to get your questions answered. As a FFNS student, you'll have direct access to me and the entire Niche Site Project team. So I can only offer a few of these slots. Last July ALL of them sold out in just 72 hours. If you have any interest in working with me directly, then you'll need to pick the PREMIUM option. I'll teach you how to do the same. It's 2017 and no one wants to "GET FREE Updates" from our websites. His tips and techniques were easy to understand and even easier to implement. After a putting in the time and effort I began to see my own success take shape within my own sites." You'll get 8 Units that give you the Step-by-Step process of creating an Amazon Affiliate Niche Site. Five Figure Niche Site will ONLY be available until Midnight on October 27, 2017. This isn't false scarcity either. I can only accept a limited number of people in this course due to the level of service and coaching each student has access to. The thing is you probably realize that it's a waste of time to try to learn about niche sites from blog posts and podcasts. There's a sea of information out there and most people are drowning in it.